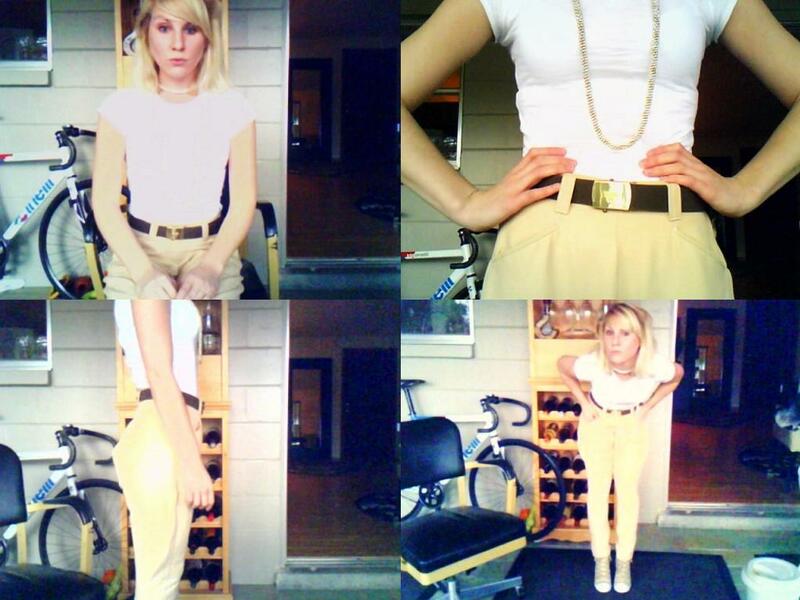 vintage riding pants &ian's boy scout belt, which wrapped twice around my waist. this was great not only because i liked the look, but ian's mom noticed i was wearing ian's belt & she gave me 3 killer vintage leather belts. 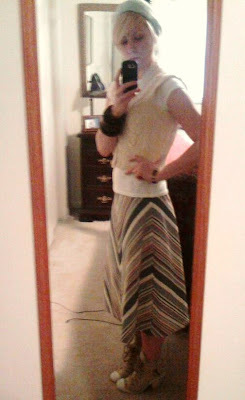 &i wore this to work. i got so caught up sewing &studying that i did not have time to shower, so i wore a cashmere beret &it was storming so i wore rubber bottomed heeled boots &it was muggy &gross so i did not want to wear a jacket to cover my tattoos so i wore a vest &chunky wooden bangles.